This certainly sounds delightfully epic! 'Deadline' reports that 20th Century Fox wants Maze Runner trilogy director Wess Ball to helm their big screen live action adaptation of MOUSE GUARD! Based on the award winning graphic novel by David Petersen, the story follows a brotherhood of mice during medieval times sworn to protect the fellow rodents in their midst. The movie will use visual effects and performance capture techniques in production. In the movie department you can also check out the gorgeous new poster for Gerard Butler's GEOSTORM which will storm its way into cinemas next month also starring Abbie Cornish, Jim Sturgess, Ed Harris and Andy Garcia. When catastrophic climate change endangers Earth's very survival, world governments unite and create the Dutch Boy Program: a world wide net of satellites, surrounding the planet, that are armed with geo engineering technologies designed to stave off the natural disasters. After successfully protecting the planet for two years, something is starting to go wrong. 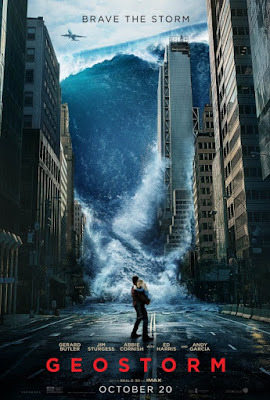 Two estranged brothers are tasked with solving the program's malfunction before a world wide Geostorm can engulf the planet. I don't even think a geo storm could bring the world's powers to unite. Best it just wipes the slate clean and resets itself. 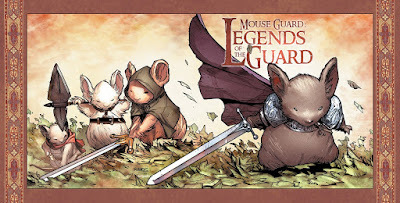 Mouse Guard does sound like a really cute story! 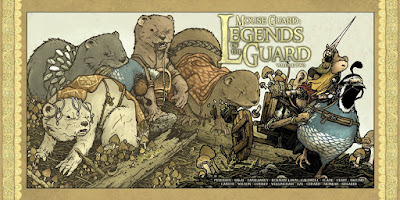 Beautiful Mouse Guard's posters, love the style! That Mouse Guard looks good! imagine how cute it will be live action!